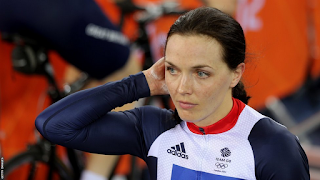 On Saturday there was great newspaper coverage surrounding the fact that Victoria Pendleton, one of Britain’s most successful athletes, had revealed a history of self-harm. In a new memoir she describes how she cut herself with a pair of nail scissors, even on the night after she had won her first cycling Gold at the Beijing Olympics. In so doing I feel she has shed a strong light on the way our culture views mental illness. There is increasing acknowledgement of the fact that mental health issues carry with them a stigma. This story had such an impact because Pendleton is ‘a high achiever’, and this disclosure therefore flies in the face of many prejudices about mental illness. The prevailing view seems to still be that some people are ‘mentally well’ and the rest ‘suffer mental illness’, though this binary understanding flies in the face of mental health research, which indicates that mental health problems exist on a spectrum. Pendleton, for all her success and attractiveness, challenges existing stigma’s because she shows how mental health issues are not restricted to clinical domains- in fact how they very much come into play where high levels of achievement are required. Explaining why she had felt driven to such actions, Pendleton said she self-harmed because of ‘feelings of worthlessness’. She said- ‘I just felt desperately sad and unworthy. I felt as if I could crack and splinter into hundreds of pieces.’ These words powerfully contradict the sporty stereotype of the achiever having to be ‘made of steel’ in order to get anywhere. This is a subject I feel passionate about, and which I explore in my new book, Letters from Yelena, in which a top-flight ballerina struggles to deal with feelings of intense self-loathing- feelings which those around her assume she couldn’t possibly possess. Pendleton confessed to feeling ashamed by her own emotional reactions, saying: ‘I was not starving. I was not in a war zone. I was a white, middle class 23-year-old from the home counties. What right did I have to feel so bereft?’ I think it is in such detail that the real power of her statement lies, because someone who garners great respect is here proving that emotional reactions are not always clean cut, that humans cannot be easily categorised. Victoria Pendleton has recently retired from cycling, and given the current climate regarding mental health issues I feel she was wise to wait until retiring before disclosing this chapter of her past. I have noticed recently that Occupational Health forms ask new employers to indicate whether they have had a history of mental health problems, but as the situation stands people are vulnerable to the consequences of being too candid given the stigma’s at play. Should people be required to hand over this information in a culture where it could still be used against them? It currently seems the case that a certain amount of fame and success ‘validate’ such dark episodes in people’s lives but I feel they should not have to, and Pendleton’s Twitter response on Saturday explains why. I believe Victoria Pendleton should be applauded for sharing this aspect of her life with the world, given what an inspirational figure she is to so many people. As a culture we should not minimise such courageous disclosures but use them wherever possible to break down the stigmas that still prevail.